The holidays are fast approaching and it’s never an easy thing to choose a spot. The beaches are a favorite getaway for Mexicans during Holy Week, which is why we want to recommend Mexico’s Pacific Treasure: a marvelous place where you can enjoy much more than just some R&R on the beach. 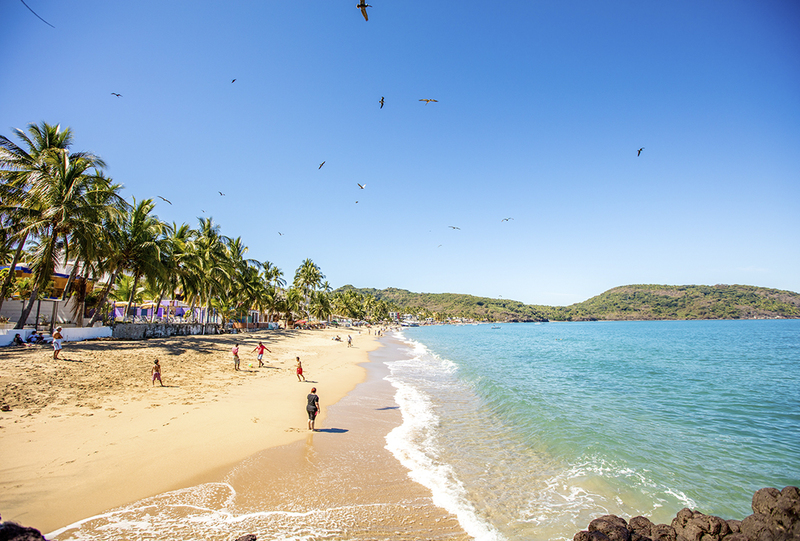 Apart from the very popular beaches like the ones at Sayulita or Rincón de Guayabitos—where at times it’s hard to find a place to lay your towel—there are several lesser-known but very charming villages with nearly-virgin beaches that await the nature-loving traveler seeking to get away from the madding crowd. Untamed and hidden among the hills and the mountains, the bay of Litibú is only a few minutes from the glamour of Punta de Mita. It’s considered a gem of the Mexican Pacific for the beauty of its virgin beaches, its crystalline waters, marvelous climate, and the fact it’s well-protected from hurricanes thanks to the mountain chain that surrounds it (Sierra Madre Sur). Litibú is an excellent place to let off some steam and enjoy a vacation with your family, your beloved, or your friends. You’re going to love it! 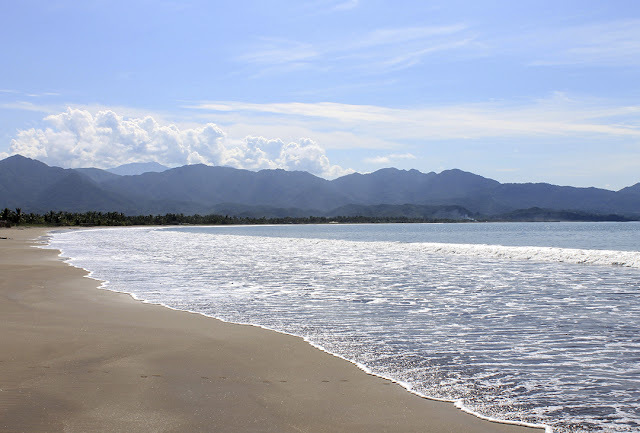 How to get there: The beach at Litibú is about 48 minutes (36.5 km) along the La Cruz de Huanacaxtle-Punta de Mita road via Federal Highway 200. 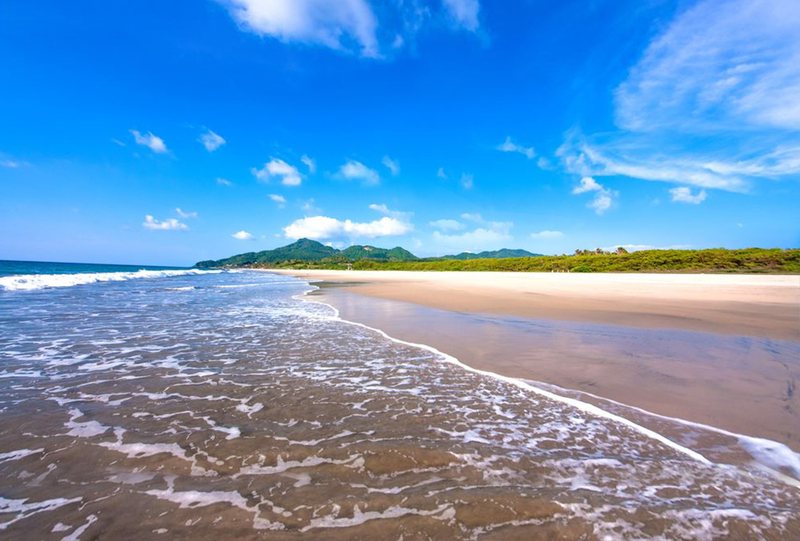 This gorgeous area of the Nayarit’s Pacific coastline has several beaches you can reach nearly year-round. The main ones are Las Cuevas, Chacalilla and Caleta, though the most popular is the first one, with nearly a kilometer in length and some 40 meters in width. Its waves are mid-size and the golden sand is fine and soft. Visitors love to sunbathe here or stop in to savor a delicious pescado zarandeado (grilled fish) at any of the beachside palapas. Beachgoers can also enjoy kayaking, SUP, surfing, or sport fishing in its waters. A visit to town in the afternoon is always a treat, as it’s quiet and laid back. How to get there: Chacala is in the municipality of Compostela, 77 km south of San Blas and 32 km north of Rincón de Guayabitos. Lo de Marcos is the quintessential beachside Mexican village, with narrow, quiet streets, flowering trees, and colorful façades. 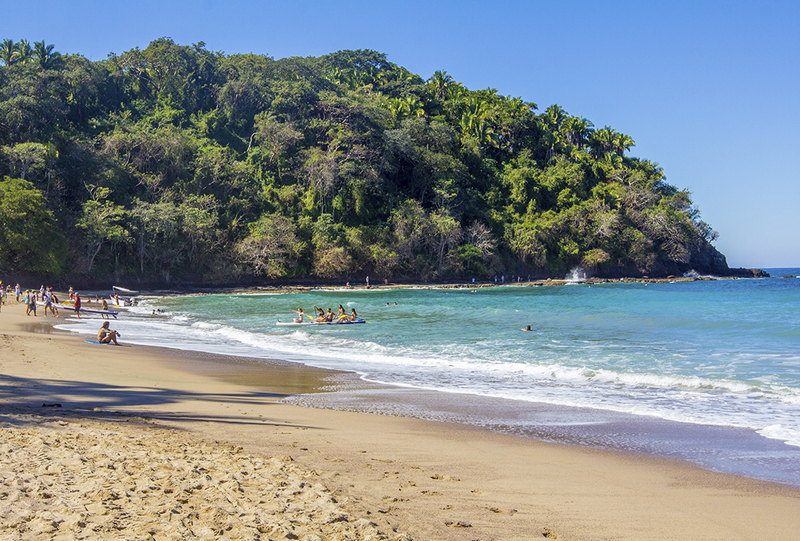 Some people would go further and call it a “little paradise” once they’ve seen the beaches of Los Venados, Las Minitas, El Atracadero, and Lo de Marcos, as they’re surrounded by green hills and rock formations set against the intense blue of the sea and sky. Lo de Marcos is a quiet refuge far from the city noise. Accommodations range from bungalows, villas, and comfortable hotel rooms to a well-equipped trailer park. 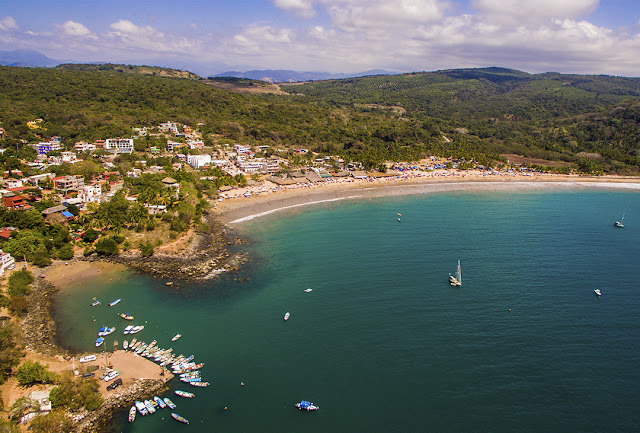 How to get there: By land you can arrive via the Tepic-Puerto Vallarta Federal Highway 200 that connects the north, south, and central parts of Mexico. 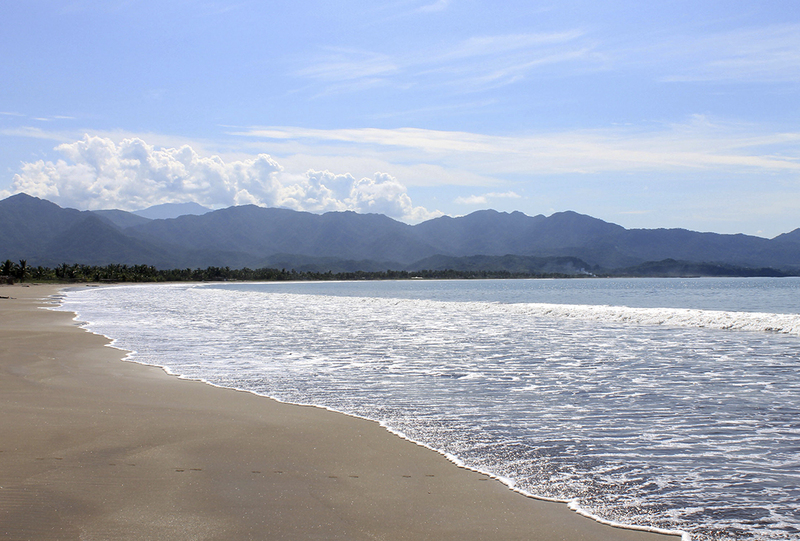 The town of Los Ayala and its charming beach are part of the Rincón de Guayabitos – Peñita de Jaltemba tourism corridor. This is an excellent place to enjoy the best of nature as well as incredibly ample soft, golden-sand beach, gentle waves, and emerald-color water. There’s a rocky outcropping on the south end of the beach, where you’ll find the beaches of Frideras, Frideritas (also called Playa del Beso—Kiss Beach) and El Toro, which you can reach after a short but steep hike through the jungle or, if you prefer, by boat leaving from the beach of Los Ayala. There are little restaurants under palapas along the beach where you can enjoy the regional dishes, especially seafood and fish. How to get there: Los Ayala is 2 km from Rincón de Guayabitos and 98 km from the city of Tepic. We recommend taking the Tepic-Puerto Vallarta Highway 200. 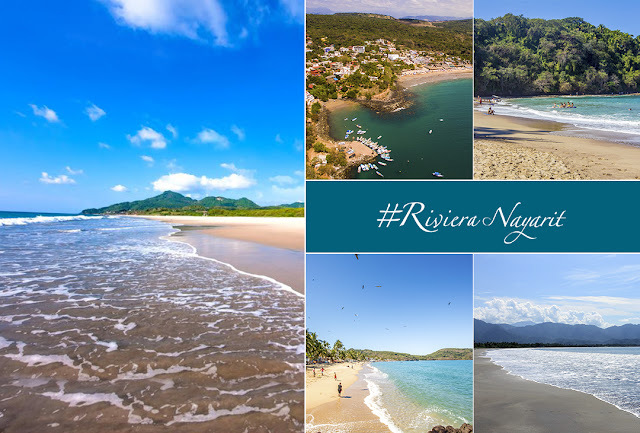 Matanchén Bay, located in the municipality of San Blas, is one of the Riviera Nayarit’s best attractions. Its natural bounty makes it an excellent choice for watersports including scuba diving, sailing, and surfing, or for long walks on the beach to enjoy the sunset, not to mention a stop to enjoy the best of the local gastronomy (including the famous pescado zarandeado—grilled fish—a dish that’s highly regarded by tourists and locals alike). How to get there: Matanchén Bay is located to the northeast of the city of Tepic about 60 minutes along the Tepic-San Blas highway.